The perfect finishing touch for any gift. Printed in yellow and gray ink on 100% cotton paper. 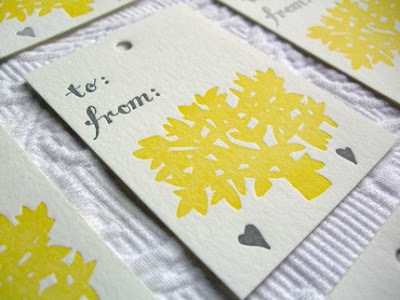 These tags are printed one sheet and one color at a time on a vintage Vandercook letterpress. They have gorgeous texture and impression characteristics.